So what makes a Summer Fragrance? 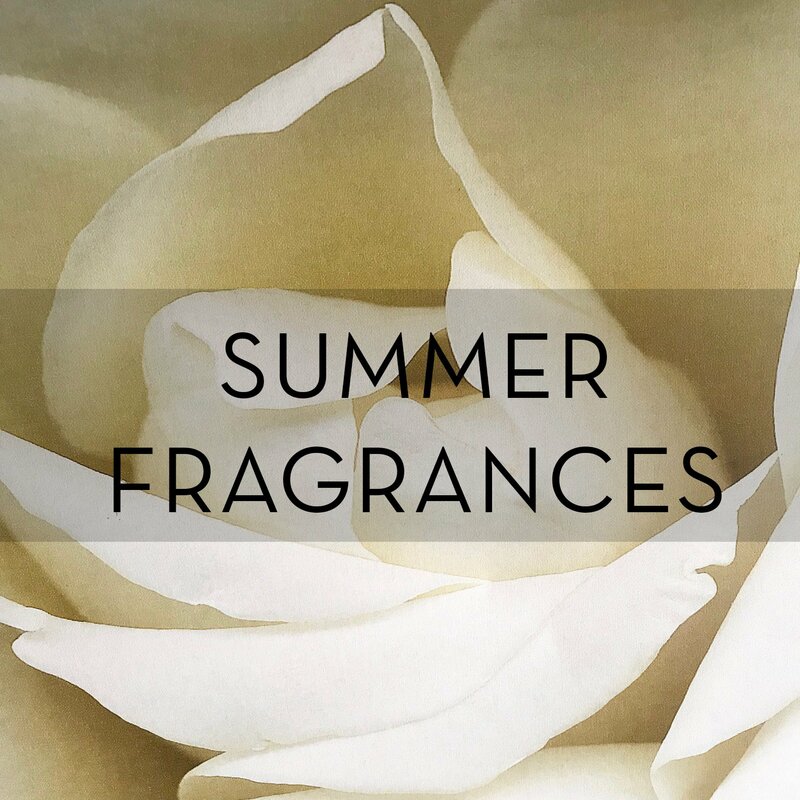 Here's a post from the fabulous TriedTestedLoved all about what makes a summer fragrance! As the weather gets warmer, we’re encouraged to seek out “summer” fragrances, but what makes a perfume right for the sunshine? You will see “L’eau de… “or “Eau Fraiche…” or versions of your usual perfume, together with the suntan lotion or bronzing makeup. In perfumery, ingredients and fragrances are classified according to how volatile they are, i.e. how quickly they evaporate and diffuse into the air. So, we smell the lighter top notes like citrus fruits, next come the middle or heart notes like florals that evolve after 30 minutes to an hour or so. The base notes like vanilla and woods are heavier, last longest and diffuse over several hours. Traditionally, a balanced perfume could be a blend of these notes, however, there are no hard and fast rules in creation anymore. If a fragrance doesn’t last long, it is probably composed of top notes that evaporate quickly. Or, it may not work with your skin chemistry. Yet, the depth or complexity of fragrance is not the same as intensity and “light” and “heavy” are quite subjective terms. Some ingredients can seem overpowering and cloying, or “heavy” but a lot of that is down to whether you actually like the smell or not. This concept of a light or fresh holiday perfume is not new, but not everyone is buying it. Generally, we do wear fewer clothes when it is warmer or perhaps less makeup, but if you love rich, smokey or woody perfumes, why should your taste have to change in summer? You could ramp up the intensity instead! Conversely, watery, aquatic or delicate scents could also be worn in the winter, it is really a very personal choice. 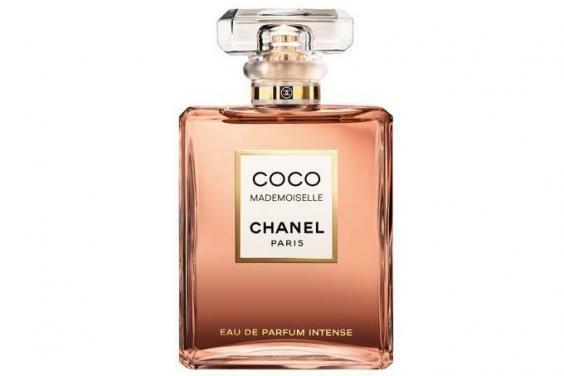 For 2018, it is interesting that Chanel launched an intense version of their Coco Mademoiselle rather than a lighter one. 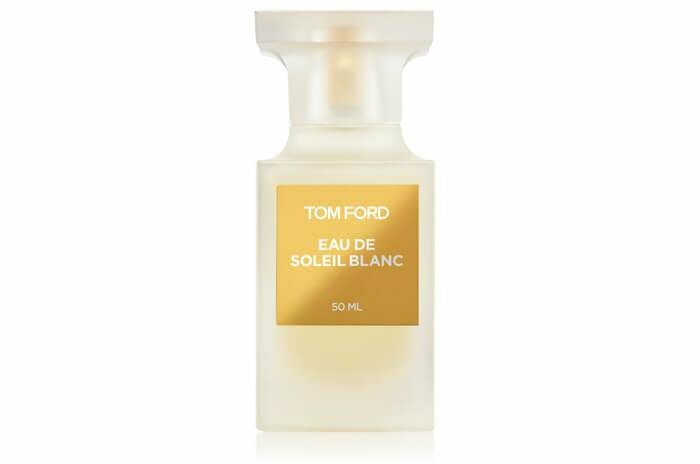 Tom Ford now has an Eau de Soleil Blanche, a lighter version of the classic Soleil Blanche. Niche and trendy brands tend to include diverse fragrance types in their ranges, so with one for each mood or season, you can pick and choose without feeling pressured into the commercial summer/winter perfume debate. So we’re here to celebrate individual tastes. Summer and holidays should be fun. Your perfume can reflect the way you feel or the way you WANT to feel. If that means a spicy, indulgent, nocturnal and deep fragrance, so be it. If you want something floaty, musky and tender, fine. If you are addicted to a particular classic or have a signature fragrance, stick with it in the heat or perhaps go for the Eau de toilette, or the body cream. That way it is definitely physically, lighter but still your dream fragrance. One final tip, if you fall in love with a perfume whilst you’re on holiday, try it out a few times and then buy it. It will always remind you of that holiday and create a wonderful memory. Go with the flow.